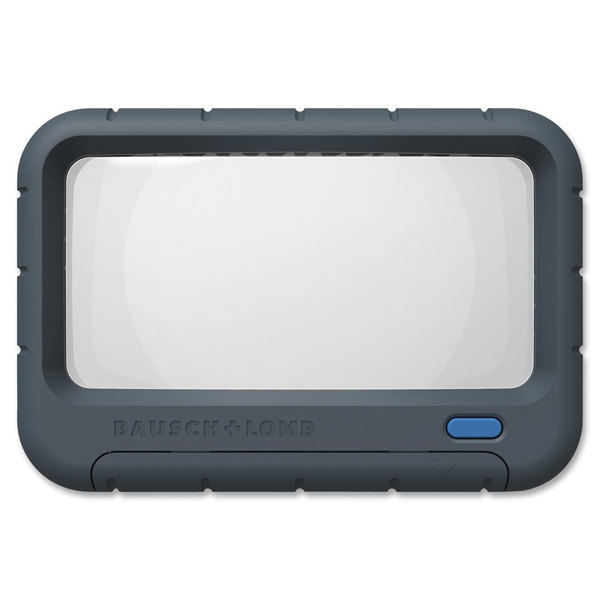 Handheld LED Magnifier with no handle easily stores in pocket, briefcase or purse. Great for reading, hobbies, detailed inspection. Bright white, LED illumination reduces eye strain in low light and increase battery life. Crystal-clear acrylic lens provides sharp, distortion-free optics throughout the entire viewing area. Contemporary, rectangular design includes 2X magnification and durable construction. Humanware Explore 5 - Color Portable Video Magnifier - 3.5 Hours of Battery Use!